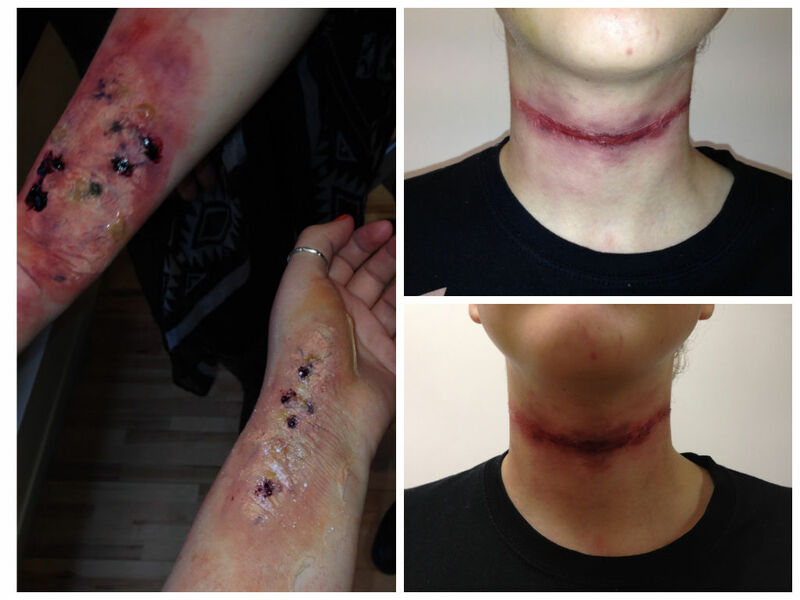 This week we’ve been having Special Effects lessons in class. So far we’ve covered everything from slit wrists/slits, gashes, strangulation, 1st, 2nd and 3rd degree burns, bullet wounds and also chopped off digits! It’s all very gory and let’s just say doing research for SFX is not something you want to do over lunch or dinner, however it is a lot simpler than you might think! Less is more definitely applies here and overdoing the SFX by adding too much product can make it look unrealistic. Tomorrow we are covering Zombies which should be incredibly fun and I imagine we’ll get some awesome pictures out of it. Below are some of the photos from class over the past couple of days. 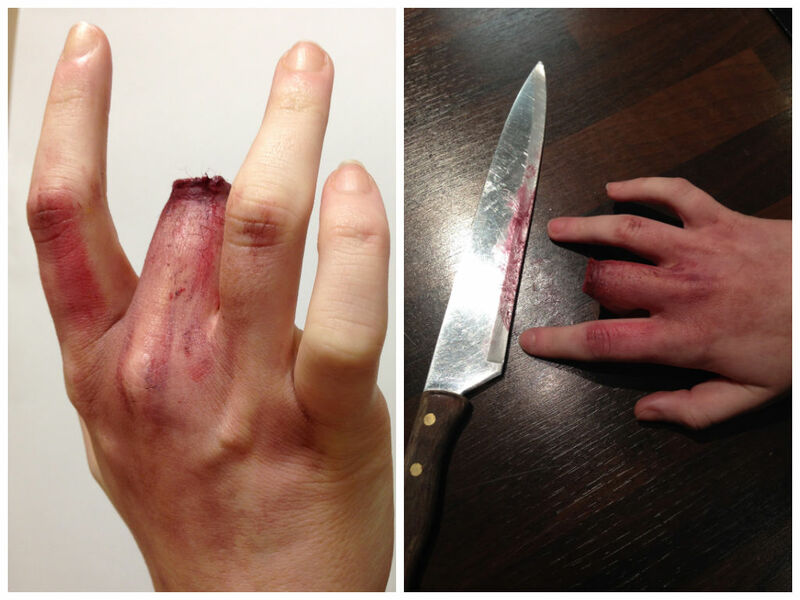 Have a look but beware, it may not be your cup of tea – especially if you’re a bit squeamish. 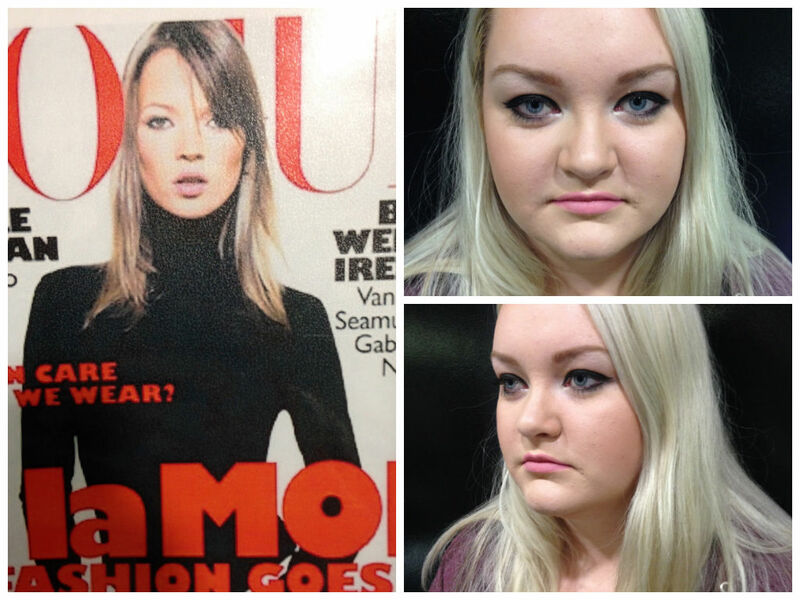 Looks are modeled on Clodagh Power and Phoebe Wishart. I am far too unreliable for blog posts, but here I am, procrastinating starting my assignment…blog post it is! A lot has happened since my last post and boy have I been busy! Firstly I should share with you my final shots from our High Fashion/Photographic photoshoot we had at college. My lovely friend, Katie Rogers was kind enough to model for me and she did such a brilliant job! We went for a more commercial look and also an edgier/vamp look. These are pictured below for you! So happy with how these pictures turned out! I am loving black lips at the moment! 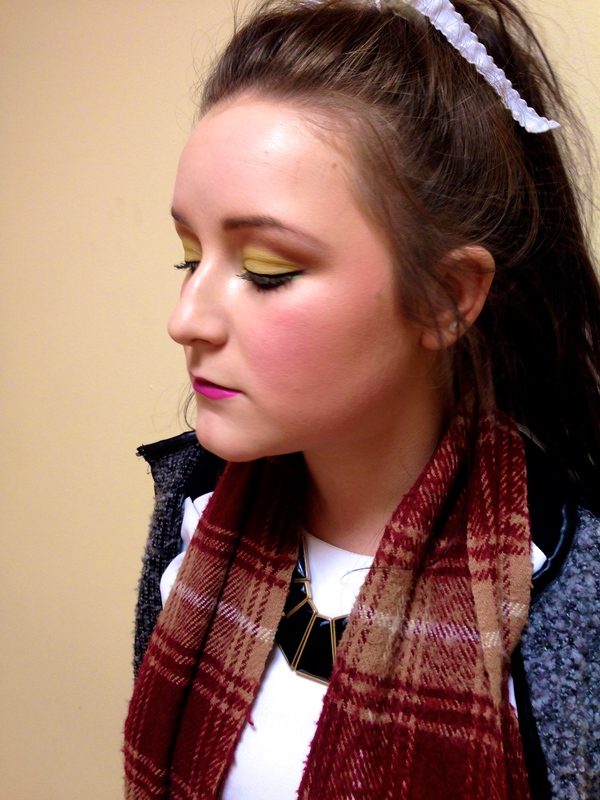 We also finished up our ‘Era Makeup’ module with a look from each decade, up to the nineties. I thought this module was fantastic as seeing the makeup evolve throughout the years is actually really interesting! The 60’s and 70’s had some gorgeous looks, very classic and beautiful, then came the 80’s (who knows what happened here) and it’s important to note where the trends we wear today came from, i.e. winged liner from the 50’s/60’s, dewy skin from the 70’s etc. My 60’s and 80’s looks are below! Modeled by Sarah Collins (60’s Twiggy inspired) and Phoebe Wishart (80’s inspired). 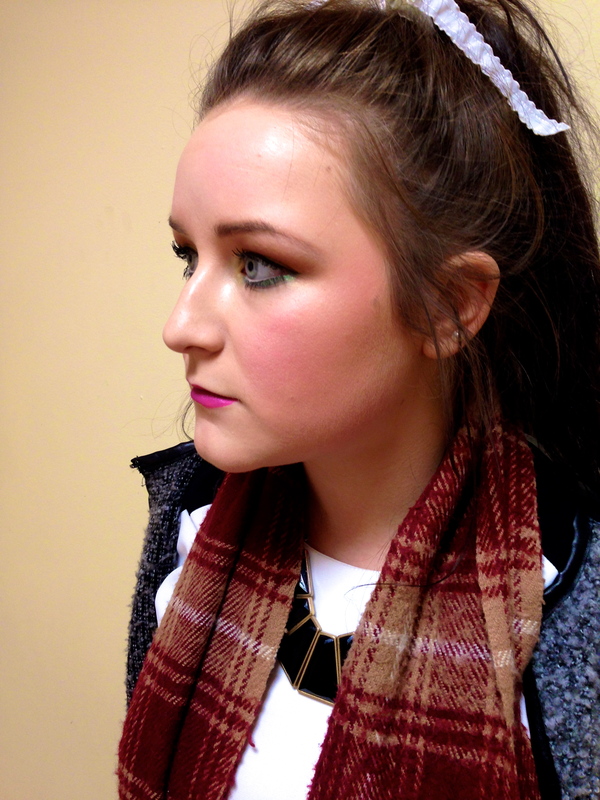 My 90’s inspired look is pictured on Shauna Tyrell. We also had a wee ‘exam’, where we were given a Magazine cover (funnily enough all featuring Kate Moss! ), and had to recreate the makeup! This was tricky given, some of the picture quality’s weren’t a hundred and in some pictures she was far away or in B&W. 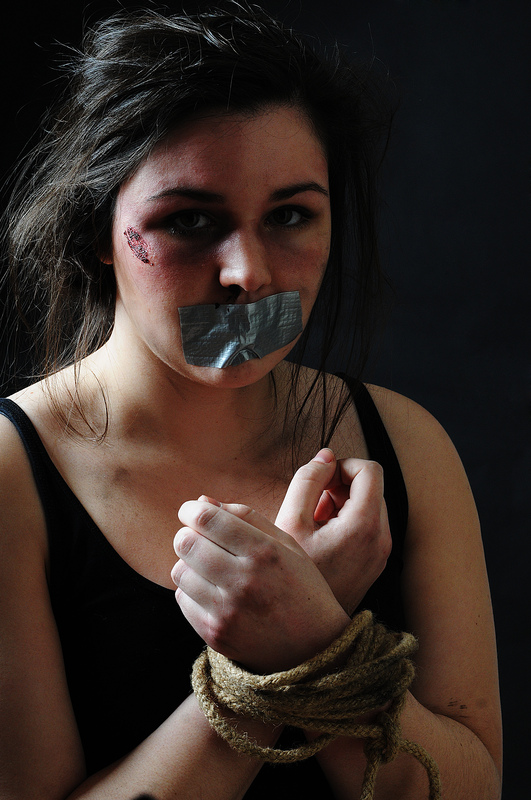 The cover I had is pictured below along with the Makeup I did along with it. My model for this was Robyn McCarthy. 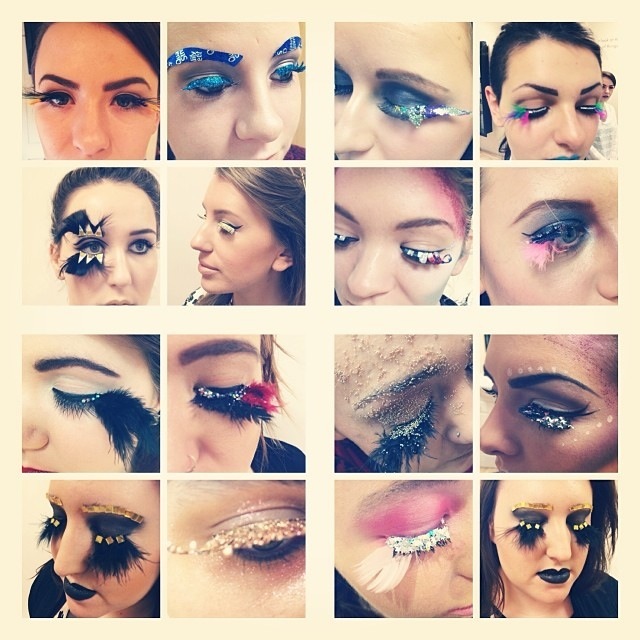 Lash Embellishment was next on our curriculum with a fun day of designing and d-i-ying our very own set of lashes! 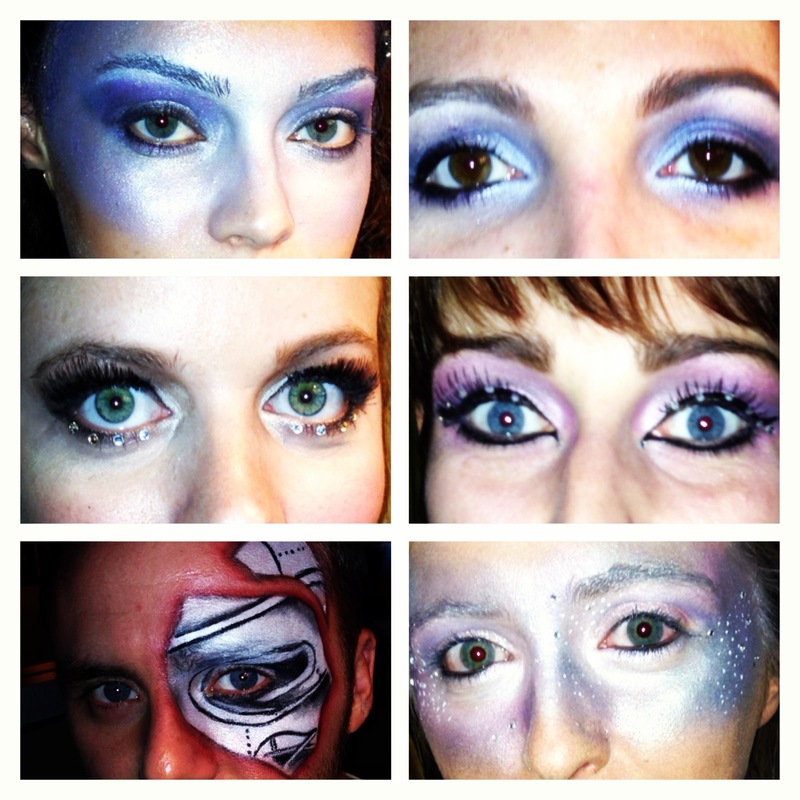 We then had to create a look based around our lashes – the creations were so fun and exciting! Another fun creativity-releasing day, especially when you can pretty much use any material as long as it is safe and not too heavy! 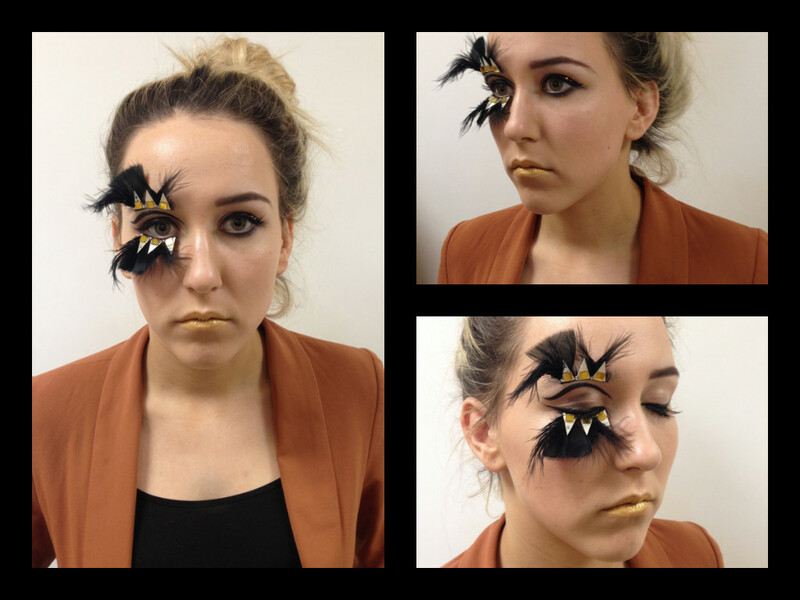 Clodagh Power modeled by Aztec inspired lashes which are pictured below, along with a wee collage our tutor pieced together of all our designs! That just about catches us up with last week which was incredibly action packed! 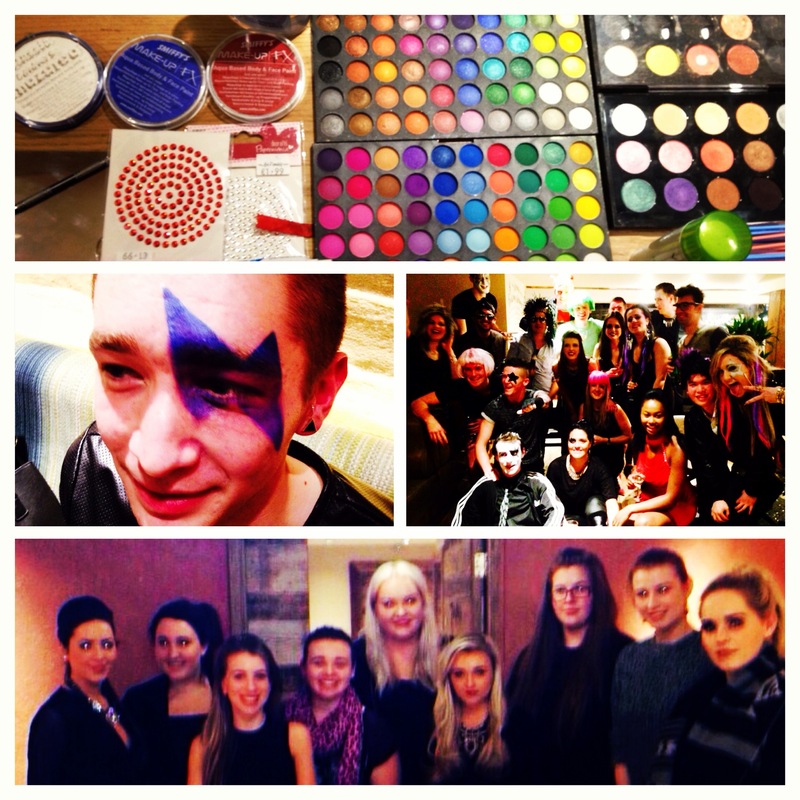 Not only was I incredibly lucky to help out Nando’s Dun Laoghaire with Glam Rock inspired Makeup for their country-wide staff Christmas party, but I also provided my Makeup Services for the staff of Google here in Dublin (European HQ), as they had their Staff Christmas Party (the guest list was at around 2500) which was a Space/Galaxy theme! Can I just say that everything you hear about Google is true. It was a mind-blowing experience! 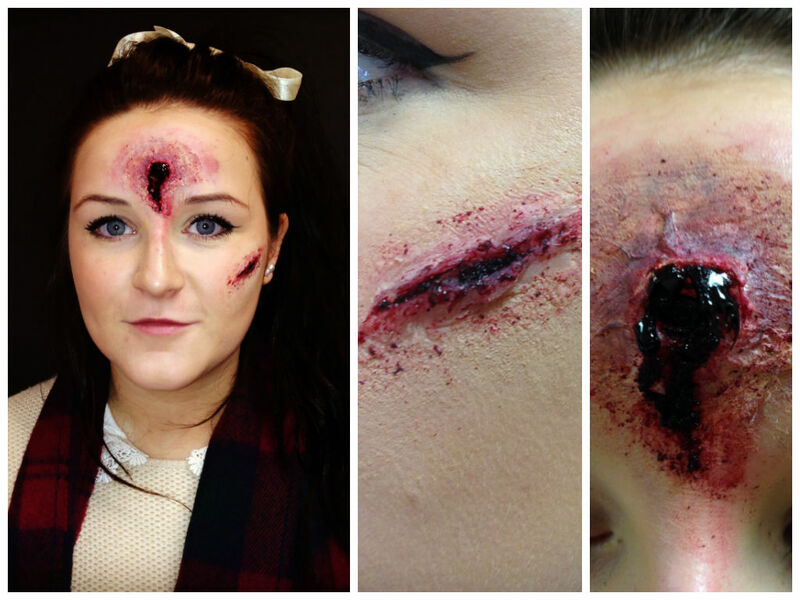 In class we covered Customer Service with a guest tutor, had an exam on this, attended a fabulous masterclass at Inglot on South Anne Street and also had our first day of SFX (special effects), where we were allowed to have a play around with all the products to see how they feel, how we would use them etc. 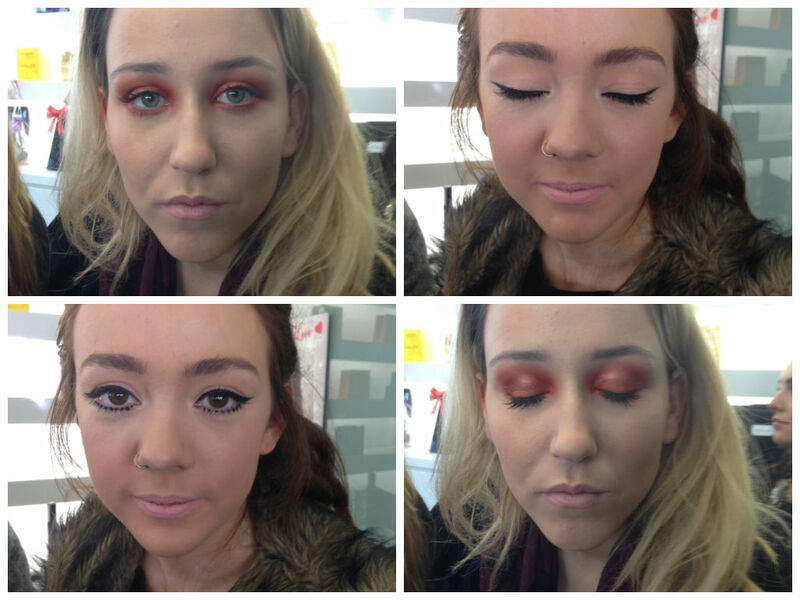 We then got to create a look! So much fun considering all the gore! Not something for those with a queasy stomach! Below, I’ll post all the pictures so you can have a good ol’ look at the past week, because who wants to read what I have to say anyway! A collage of photos from Nando’s! Such a hilarious bunch, pictured is some of our station set-up, a lightning bolt I did on the wonderful Ross, the Nando’s team all set to go on the right, and below, us girls from LA College that attended the work experience! 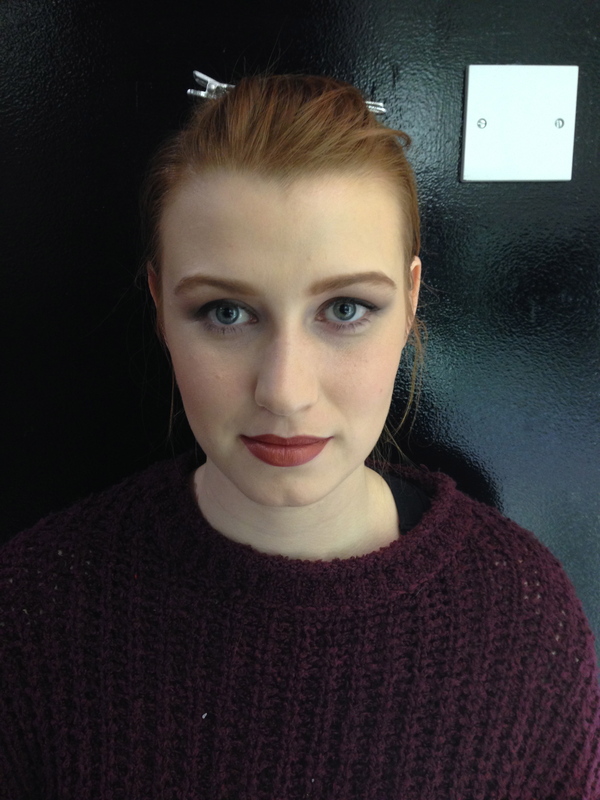 The gorgeous looks that MUA Sheena O’Brien from Inglot South Anne St created for our masterclass. Modeled on Sarah Collins (Anna Sui runway inspired) and Clodagh Power (Gucci runway inspired). A selection of close-ups from the Makeup I did on the lovely staff from Google, with all that free food and massages, no wonder they were so relaxed and lovely! I think my two favourite looks were the bottom two..was able to be a bit more creative and always wanted to try a Galaxy like look (keep an eye out – may be a spur of the moment one pop up in the future). The look above was my first SFX creation, the story behind it was that she passed out in a house fire due to smoke inhalation, and then to rescue her, they had to drag her out. Hense the grazing effect and sooty skin. So much fun, and quite frankly a lot easier than it looks. I think the important thing here is having a valid story to back up your look, i.e. how did they get the scratches there, this ensures your look is realistic and isn’t unlikely to happen, such as random scratches in different directions all over the face. This look is on Clodagh Power. Well that sums up this bloggers, long, overdue post! Enough procrastinating for one day I suppose, I better get cracking onto this assignment. Wish me luck! 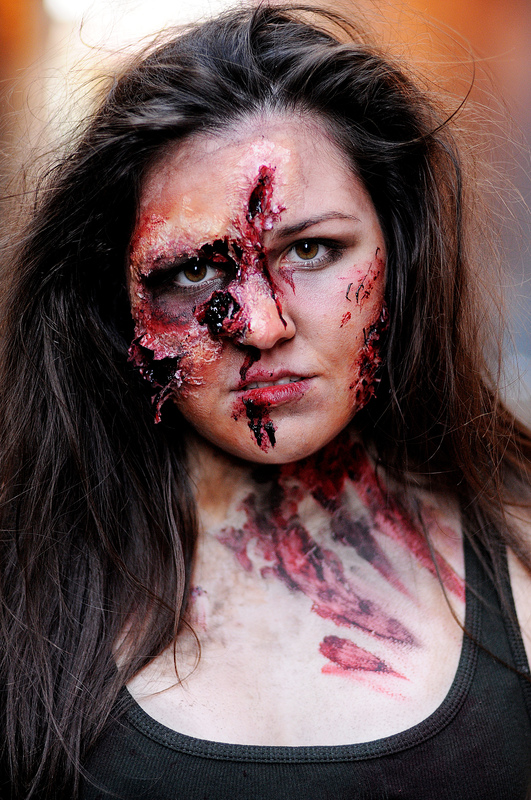 Will be in touch with more SFX looks coming your way!